This class teaches everything necessary to administer CPR in healthcare settings such as assessment of breathing and cardiac emergencies in adults, infants, and children with one-and-two rescuer CPR; adult and pediatric obstructed airway management; AED; and mouth-to-mouth ventilation. Approved by the American Heart Association (AHA) and taught by AHA certified instructors. This class does not offer First Aid training. 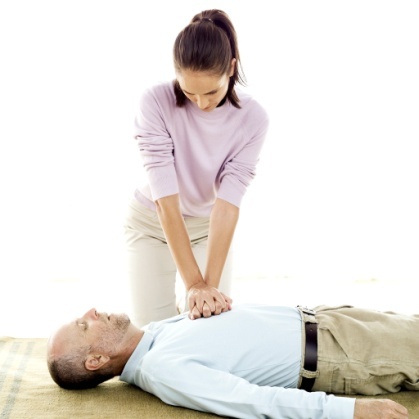 If you are interested in First Aid training click here. 1930 - 11 04/25/2019 05:00 p.m.
1930 - 12 05/15/2019 05:00 p.m.
1930 - 13 05/30/2019 05:00 p.m.
1930 - 01 06/12/2019 05:00 p.m.
1930 - 02 06/20/2019 05:00 p.m.
1930 - 03 06/25/2019 05:00 p.m.
1930 - 04 07/11/2019 05:00 p.m.
1930 - 05 07/16/2019 05:00 p.m.
1930 - 06 08/01/2019 05:00 p.m.
1930 - 07 08/12/2019 05:00 p.m.
1930 - 08 08/22/2019 05:00 p.m.
1930 - 09 09/04/2019 05:00 p.m.